Day #1 has to be for a working furnace. (Note it’s the date – NOT order of gratitude!) See, Nov 1st in the Campbell house means the furnace gets turned on for the first time. I guess I am goofy, cheap in penny pinching with the gas money, or tied to some crazy idea each year that in Indiana, you can wait till after October is over to turn on the heat. Knowing many dont have heat or cant afford it – I’m reminded how precious just flipping a switch is. We almost made it an extra unplanned day, as I forgot it was November 1st until I remembered it was my Nephew’s birthday and that I should call (which I failed to do as well) He’s just turned two today, so that fact keeps me hoping he will forgive me and not need therapy for any ongoing issues of auntie Christi neglect. Hey – That’s a BONUS thankful gratitude thingy! My darling nephew Emory Howard is a crazy whole two years old! It’s nuts to think of because he was just born – no, I swear it! 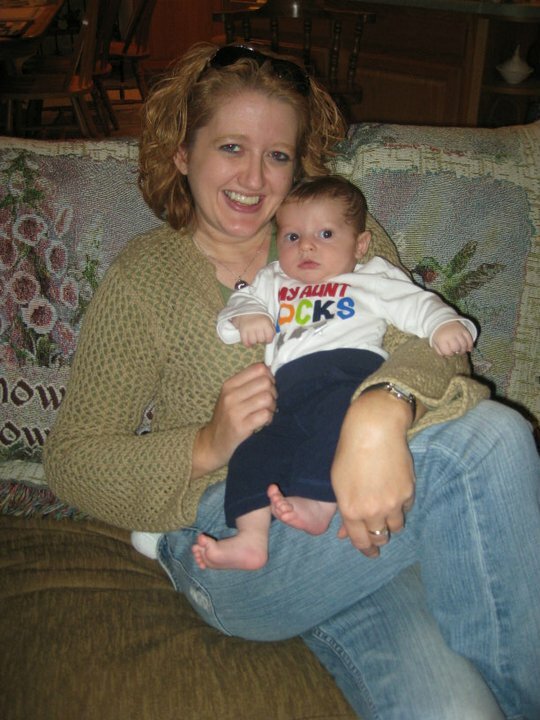 I have the picture to prove it – and I dont look a day older so I KNOW there’s no way he’s two years old! !